Some people threw you a party last night, but I doubt you had much fun. 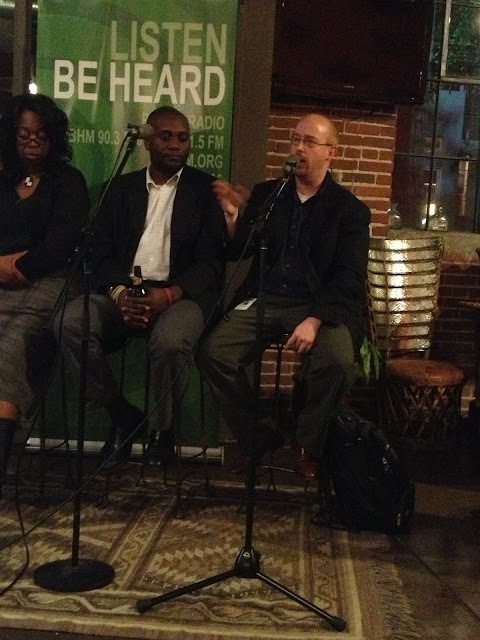 The event, organized by Birmingham's NPR station 90.3 WBHM, was called Issues & Ales: The Future of Journalism in North Central Alabama. So many people in the room kept lamenting about how the Internet is changing you and changing you for the worse. I can appreciate their position. The Birmingham News, the city's paper of record, is, as of this week, no longer a daily paper. While it produces and posts online content every day, it now only publishes a print product three times a week. One person in the room even suggested that you change your name. He said that you aren't about keeping a "journal" so why do we call you "journalism." But Andre Natta, editor of community news website The Terminal and one of the special guest speakers at this shindig, stepped in and said, "The journal we are keeping is the journal of the communities that we serve." And I believe this journal isn't any less important just because it's moving in a more digital-focused direction. Journalism, I still believe you can save the world. 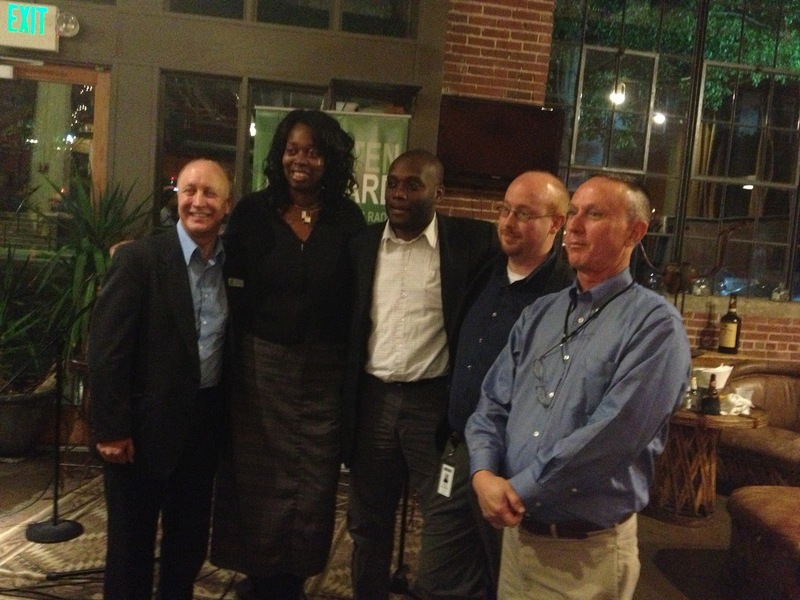 WBHM General Manager Scott Hanley (far left) with the panelists. From left: Vickii Howell, Andre Natta, Kyle Whitmire, and Bob Sims. Another attendee questioned whether or not you will still be able to preserve our history, as you once did, in your new form. Vickii Howell, another special guest and editor of BirminghamView.com suggested that because of the Internet that recorded history can be even richer. The Internet democratizes information so that we can now see history through multiple lenses, she said. I must admit there were moments when everyone in the room disappeared and I began to think about us, about our rocky relationship. I'm not even sure how you feel about me these days. You're probably mad at me. You probably feel like you've become my #2, that I'm a part-time lover, that I treat you like the "side chick" as the kids say. It's true. In July 2009 I left you to become a full-time educator. But I missed you like crazy. So I started freelancing for every newspaper, magazine and website that I could write for because I needed you. I know this isn't how we imagined our life together would be when I was 15 and dreaming of starting a magazine. But I hope you'll stick with me, nonetheless. And I hope the people of Birmingham, and every city, will stick with you. Someone in the crowd wanted to know how the local paper will be able to retain high quality content amid all the changes. Bob Sims, content director for AL.com, an online hub for news from around Alabama and another panelist at this event, said he was confident that the passion of the people who work for the news organization would ensure this. “People work in journalism because they have a passion for good storytelling,” he said. Good storytelling – that’s what you are, journalism, and that’s why I yearn to be called one of your own. I miss being called a journalist. These stories may be told in different ways nowadays, but that doesn’t change who you are. You are still the field I fell in love with so many years ago. And so I write -- even if it means juggling three regular freelance gigs with a full-time teaching job and, getting an average of 5 hours of sleep a night. No matter what, I will write. Kyle Whitmire, another guest speaker and local politics and news reporter for The Birmingham News, shared that he was in high school when he decided he wanted to be “a newspaper man.” While he still obviously cherishes the newspaper, he is not naïve about the realities of the industry. Yet, he’s optimistic still. What I'm trying to say, journalism, is I hope we can be together forever. 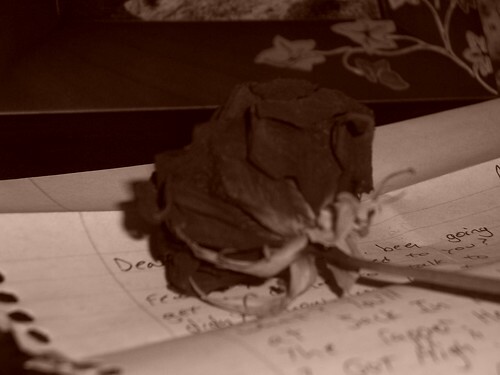 Thank you for sharing such a personal "love letter" with your readers. It has encouraged me to get serious about my own relationship with writing so I can eventually be proud to call myself a "journalist." I have had a blog for quite some time now, but I've only paid attention to it when I needed to vent or the attention paid was "workable" into my schedule. This letter prompted me to give my own blog much deserved attention. Please help me, visit BrandysBrain.com and perhaps by the blog receiving more attention from outside sources, I will become jealous and show my love as well. Thanks so much for you comment, Brandy. I'm so glad it inspired you to get back to blogging. Please let me know how See Jane Write can help you in your blogging adventures! Cricket is a prominent game on the planet. Amid the season the entire world sticks into cricket lunacy. It turns into the intriguing issue of article works find out this here. Amusements like this ought to be held intermittently in that capacity sort of games shows the cooperation, order and keeping the resolve high in basic circumstance. Wow these all pics are extremely pleasant and lovely all looking exceptionally cheerful for this diversion season this compose amusement or sports have the exceptionally stunning and getting a charge out of time and the opening of this compose occasions are extremely great we read many time in this website http://www.handwriting2text.com/why-us/ so those not see this they should watch this pics.